hd00:27Swans and ducks in the river. Birds are floating in water. 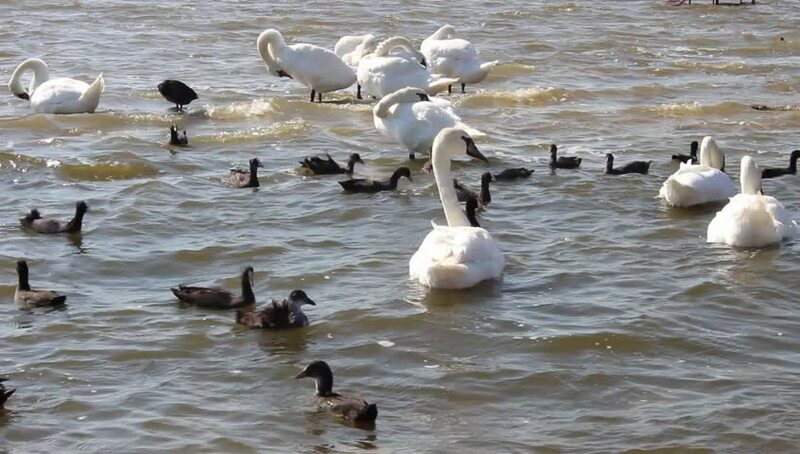 hd00:17Swans and geese swimming in the lake. hd00:18Video of ducks and geese in a city park pond or lake. Swimming around and splashing. Against a tall stone retaining wall.